Thursday night saw myself and my mum go into London to see Ravensbourne's graduate fashion show. She's a professional quilter, so recently in the past eighteen months has been contacted by around 6-7 fashion design students, all wanting to encorporate quilting in their collections. Last year I went to the show with my parents to see the collection of Bethany Rose Kinsella. Her designs are wonderful and she really is a lovely person, I can't wait to see how her future unravels. 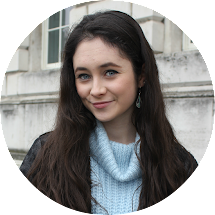 Onto this year, she was contacted by another student as Ravensbourne, who invited her and a plus-one to the show. To her surprise, she was already on the 'list' from last year, and we got delegate passes! In reality it wasn't that special, we weren't exactly prompt (blame us eating at Nandos in the o2 just minutes before) and the view was pretty much birds-eye from a few levels above. Saying this, the atmosphere was awesome, I love how rushed the designers are before and seeing their relief when everything goes to plan. So here's my outfit of the day with the floral top I featured a couple of posts back. I love dressing all fashion-y but the weather really didn't allow it this time. Everyone in England says this, but I thought it was June? 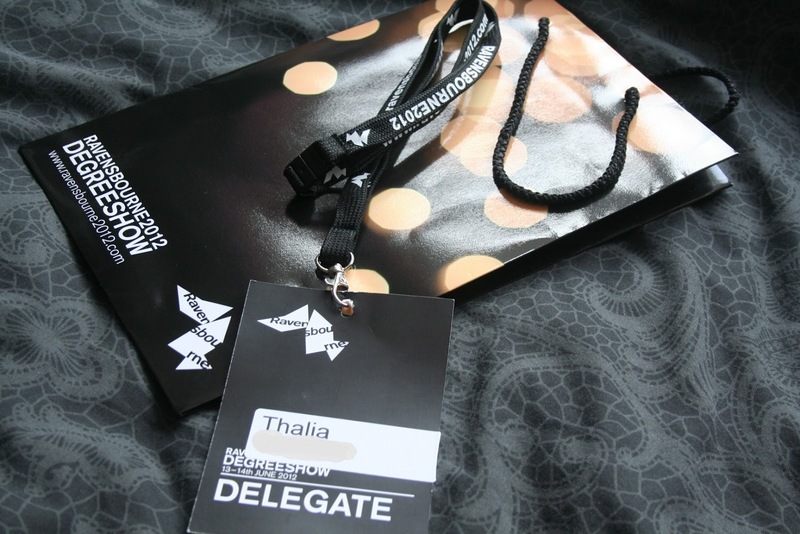 yet there is still an extreme lack of sun/heat/summer..
More excitingly, my delegate pass! Notice my very shoddy editing, my surname was at an angle but I didn't want to cut off my first name. Still unsure about the whole, name-on-the-internet thing but I'm sure I'll feel less paranoid about it as time continues. So do you like seeing fashion shows? What do you like to wear to them?